For most of my life, I have struggle with the simple task ofliving. I believed that life never stopped throwing me “set-backs.” Today I call those “set-backs” life’s lessons. For a good 15 years of my life, I have battled a disease most have misinformation on or choose to ignore completely. About a year ago, I lost my will to live. 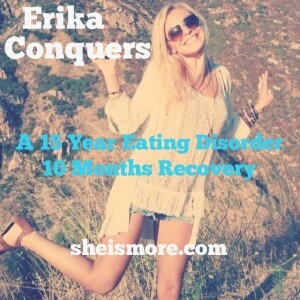 I almost lost my life because of my eating disorder. My whole life has been about trying to change things, to control them. When the “mean girls” in school would bully me or the boys wouldn’t let me play with them, I tried changing myself so that maybe then I would fit in. Maybe then, they would like me. I was scared into thinking that no one would ever love me the way that I was. My slow need for perfectionism grew as I continued in my quest to be seen and heard. My black and white thinking about how lifeshould be fueled my disorder. I never gave myself a break. I never allowed myself to enjoy the grey areas of life. 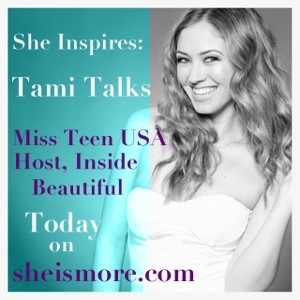 I struggled in High School with the same “mean girl” drama and the constant pressure to become “sexually active” at such a young age. More than once I felt abandoned, invisible, and unaccepted because I chose my virtue over a one-night escapade with my crush. I had high hopes of what a guy was suppose to be like, and in High School, most of them just weren’t it. I grew up in the Morman faith, so I was taught at a young age that you must stick to your morals and values. I wasn’t a prude, but I didn’t want to do something if it didn’t feel right. Nonetheless, I felt like I was being punished for the way I thought, and instead of standing in my conviction, I just tried to stay out of people’s way. I never did anything I wasn’t comfortable with, but I also tried my hardest to not put myself into those situations. I chose to avoid life instead of live in it. I realized later in life, that I was so consumed with what I looked like on the outside; obsessed with diet and weight management techniques, that I had no room to care what people thought, or what situations I was avoiding. It was my way of coping. My senior year in high school, I struggled with abandonment issues concerning my grandfather, which left a lot of anger in my heart. I also struggled with seeing my grandmother slowly losing her life to cancer. My disorder had been able to somewhat stay at bay before, but the emotions I felt during this time were too much for me to bear, so I stuffed them down and internalized them. 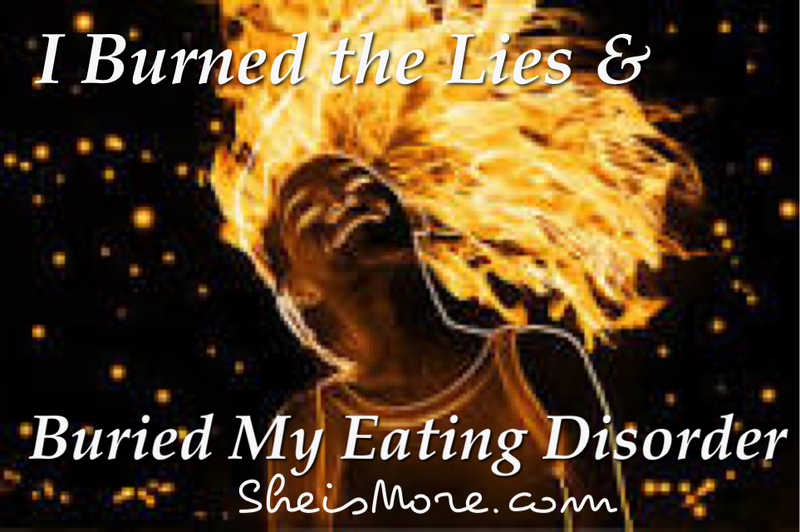 It was one of the first times my disorder shined through. I truly believed that if I could control what I looked like on the outside, the inside will then catch up, and I would start to be ok too. I was wrong. I continued to sweep my emotional discomfort under the rug, but like most things, you may not see it but it’s still there. The next 10 years of my life seemed like such a haze. I went off to college and received my Bachelors Degree in Fashion Marketing. I felt like I was on top of the world because of the opportunities I was given. Looking back, I was riding the high of my disorder, soon to crash. I entered into an unhealthy relationship that enter drugs into my life. After it ended, I again was stuck with intense emotions and guilt I could not bear to face. I continued to stuff them down and continued to sweep those emotions under my rug. I remember looking in the mirror one day after a month of disorder behaviors and drug abuse, and I burst into tears. Who was the girl staring back at me? I had lost a significant amount of weight in that month, but I still wasn’t happy. I vowed to make a change. Looking back, I wish all it took was a change of thinking. Actions always speak louder than words. Not long after, I entered into another relationship. I spent the next 6 years of my life constantly changing who I was to be who I though he wanted me to be. I wanted him to love me. I wanted him to see me. I wanted him to make me happy. This is where my eating disorder had lead me, wanting the validation of someone else for my happiness. What I received was a man who lied, cheated, and took advantage of my love for him. My pleas for change went ignored, and I slowly gave up hope. I had lost my will to live. I lost more than I could have ever imagined. I lost myself completely. I became a girl who lied, pushed away people, and harmed myself all in efforts to protect the very thing I thought was helping me cope. 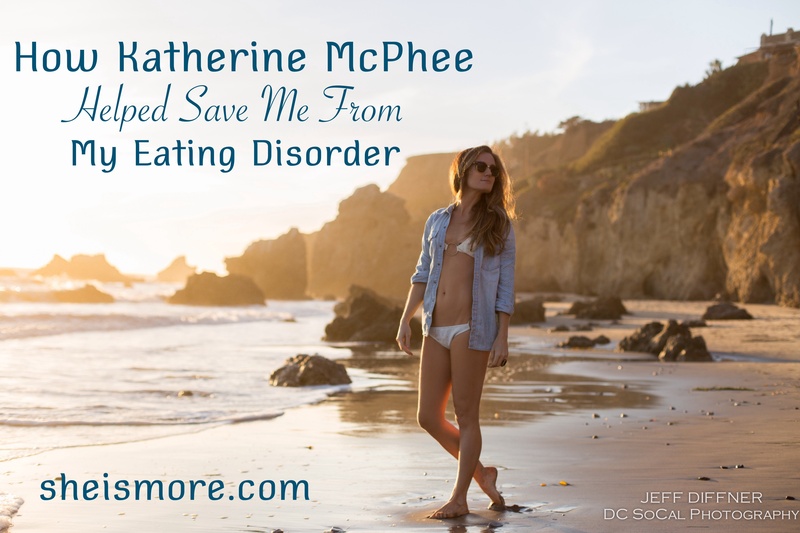 I wanted to protect my eating disorder. I had come to realize that what I used to help me cope and control my life was actually controlling me. I no longer had an identity. I found myself in the very place I tried so desperately to avoid. I was alone. In August of last year I made one of the hardest choices I think I have ever had to make thus far in my life. I left L.A., I left the life I created, but most importantly, I left the last toxic relationship I will ever have. Although I had tried to leave many times before, this time was different. I wanted my life back. I was at my rock bottom and I could see the worry and heartache in my mother’s eyes. I had to follow through this time. Hearing from the doctor’s that I weighed about as much as a 10-year-old girl threw me into the reality that I was in. At 27 years old, I was told that if I continued this way of living I would go into heart arrest or be dead within a couple of months. For the first time I really could see this disease in its true form. I had to make a change or die; those were my only options. My motivation this time to leave may have been for my mother in the beginning, but I can say today, that I am the only motivation I need to remain strong in my recovery. I moved home to find my journey with this disease wasn’t over just yet. I sought treatment only to be knocked down more than once because I did not have the money it took to get into treatment. I found it so hard to make this huge change in my life just to be denied because I didn’t have the money or insurance. I prayed for strength, because at that point I had none. Giving up was not an option; I would rather die trying. It was through the grace of God that I found some free Eating Disorder Anonymous groups. I started to attend them, and it was in those rooms that for the fist time, I didn’t feel alone or crazy. I felt an overwhelming sense of gratitude for each and every one of those women, and men, in those rooms. Each of them sharing their struggles and journey’s through recovery inspired me and motivated me. It was because of these groups that I was able to find the last bit of will to keep up my fight. Letting go of my identity as the girl I was with my eating disorder was a lot harder than I could have ever imagined, but today I can say I no longer identify with that girl. My heart hurts just thinking about the pain she had to endure. Today, I am proud to say I have a little over 10 months of Recovery and my life feels full. It is not an easy journey, but Recovery isn’t rigid. I am not perfect, nor do I long to be. Eating Disorders are not a choice, but one of the leading causes of death in women in the mental field. I found comfort in learning that I did not choose this disease, but I did choose to fight against it. It is a battle I will have to fight for the rest of my life, but I believe now that I am worth it. It is a battle not won alone, but rather with a team of supporters I am so blessed to have. I have such a wonderful therapist with whom I owe a great deal of my recovery to. It is because of her heart and her incredible drive to help others that make the process of recovery easier. I continue to check in with my nutritionist monthly and I no longer need the validations of others to make me happy. I also have on heck of a Mom. I am so blessed to run my 12-Step Eating Disorder Anonymous group with pride every Sunday and Ienjoy seeing my fellow recovery sisters weekly. The rug I continued to sweep all of my uncomfortable feelings under is slowly becoming clean again as I continue to take accountability of my part in it all my discomfort. One of the most important things I learned in recovery was that my feelings weren’t facts. Whatever I felt was just that, a feeling. It did not define who I was, because only I did.Today, I believe that I am a beautiful, kind, thoughtful person who loves love and the many wonders of the world;today I believe that I am worth living. Had I not taken control of my life, I would not be here today. I give all the glory to God as I continue on my journey though this life. Anything is possible; you just have to have a little faith. The first three links have free groups and a bunch of information to help those who are suffering with this horrible disease, as well as information that is useful in helping parents and friends who know someones who is suffering. The last two links are women who are dear to my heart and who continue to live their lives to help others beat this deadly disease. The last link is a 12-Step EDA meeting that I run on Sundays, but also have a bunch of information, stories, and coping tools to help those suffering and those who know of someone suffering. I hope these links help! 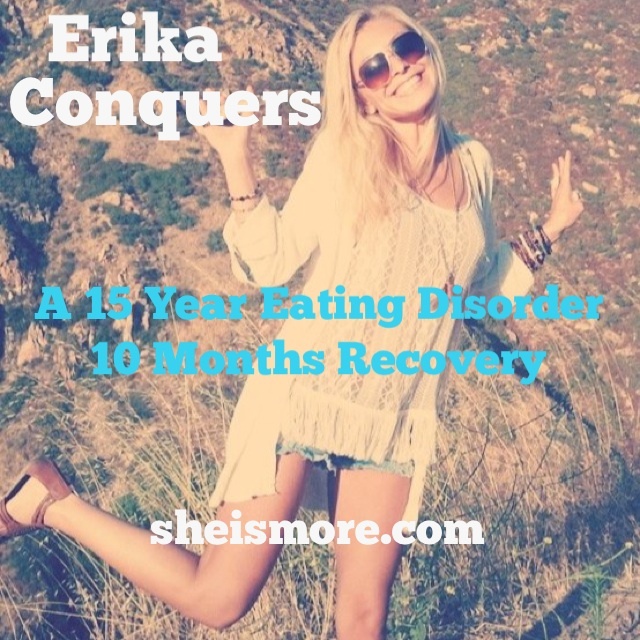 Wow, I’m so glad I got to read your story Erika, amazing! Thanks for sharing it. Keep being the amazing woman you are – love you! Amazing testimony! Keep telling your story. As a recovered anorexic, it is only through the telling and re-telling of our stories that we will be able to make a difference. God is good – all the time!